One of the more powerful features of Display Suite (DS) is the ability to create custom fields that can be displayed inside DS layouts alongside the actual core field values. In Drupal 7, this has been a very popular way of building layouts and showing dynamic data that is not strictly related to the output of any Field API field on the node (or other) entity. Display Suite has been ported and is being maintained for Drupal 8. Depending on another contributed module called Layout Plugin, the D8 version offers much of what we have available in Drupal 7 and probably even more. In this article, we are going to look at how we can create our own Display Suite field in Drupal 8 using the new OOP architecture and plugin system. To demonstrate this, we are going to create a DS field available only on the Article nodes that can be used to display a list of taxonomy terms from a certain vocabulary. And we’re going to make it so that the latter can be configured from the UI, namely admins will be able to specify which vocabulary’s terms should be listed. Not much usefulness in this example, I know, but it will allow you to understand how things work. If you are following along, the code we write is available in this repository inside the Demo module. So feel free to check that out. Much of the functionality that used to be declared using an _info hook in Drupal 7 is now declared using plugins in Drupal 8. 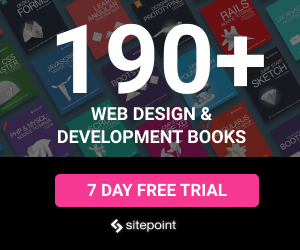 For more information on using plugins and creating your own plugin types, make sure you check out a previous Sitepoint article that talks about just that. Display Suite also uses the new plugin system to allow other modules to define DS fields. It exposes a DsField plugin type which allows us to write and maintain all the necessary logic for such a field inside a single plugin class (+ any services we might inject into it). So we no longer implement hook_ds_field_info() and return an array of field information per entity type, but create a plugin class with data straight in its annotation and the relevant logic inside its methods. * Plugin that renders the terms from a chosen taxonomy vocabulary. The annotation is quite self explanatory: it provides meta information about the plugin. The class extends DsFieldBase which provides base functionality for all the plugins of this type. At the time of writing, the ui_limit annotation has just been committed to HEAD so it might not be available in the release you are using. Limiting the availability of the field on content types and view modes can be done by overriding the isAllowed() method of the base class and performing the logic there. And since we only have one configuration option, we return an array with one element keyed by the configuration name. That’s about it. 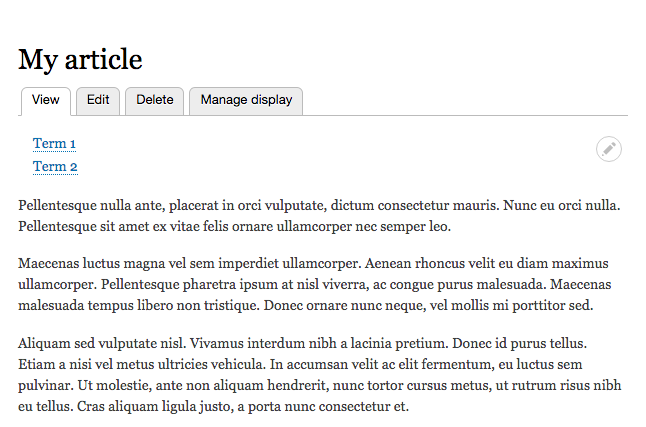 These will be available for selection in the UI under the Field heading of the Manage Display page of the content type. And we’ll be able to see the choice when we are building the actual field for display. But more on that in a second. It’s also recommended that if we are using UI defined settings, we have a summary of what has been selected as a simple string that describes it. 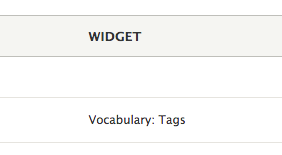 This gets printed under the Widget heading of the Manage Display page of the content type. Here we start getting more intimate with the actual configuration that was stored with the field, available by calling the getConfiguration() method on our plugin class. What we do above, then, is check if the vocabulary setting has been set, we load it based on its machine name using the Vocabulary class and return an array of strings that need to be printed. Important to note: I am using Vocabulary statically here to load an entity for the sake of brevity. It is highly recommended you inject the relevant storage using dependency injection and use that to load entities. The same goes for most classes you’ll see me referencing statically below. Now that we display which configuration has been chosen from the UI, it’s time to provide the actual form which will allow the user to do so. This will be made available by clicking the cogwheel under the Operations heading of the Manage Display page of the content type. Like before, we need to implement a method for this. And what we do inside is load all the taxonomy vocabulary names and prepare an array of options to be used with a Form API select list. The latter is the only element we need for this form. So what do we do here? First, we access the chosen vocabulary from the configuration. Then we run an EntityQuery to find all the terms in this vocabulary. Next, we load all these terms and finally we return a render array that uses the item_list theme to print our terms. Although we don’t need it here, in most cases you’ll need to access the node entity that is currently being rendered. That is available inside the configuration array under the entity key. Moreover, under the build key you have the actual render array of the node being built. So keep this in mind and do inspect the other elements of the configuration array on your own for more information. Finally, in the buildTermListItem() method we either return the sanitized title of the term or a link to it depending on the formatter. And there we have it, our very own DsField plugin in Drupal 8. Clearing the caches would now make this field available on all view modes of the Article content type. Moreover, it can be configured to choose among multiple vocabularies, the terms of which it will then display. And finally, we can even specify a formatter to print these terms either linked or as plain text.